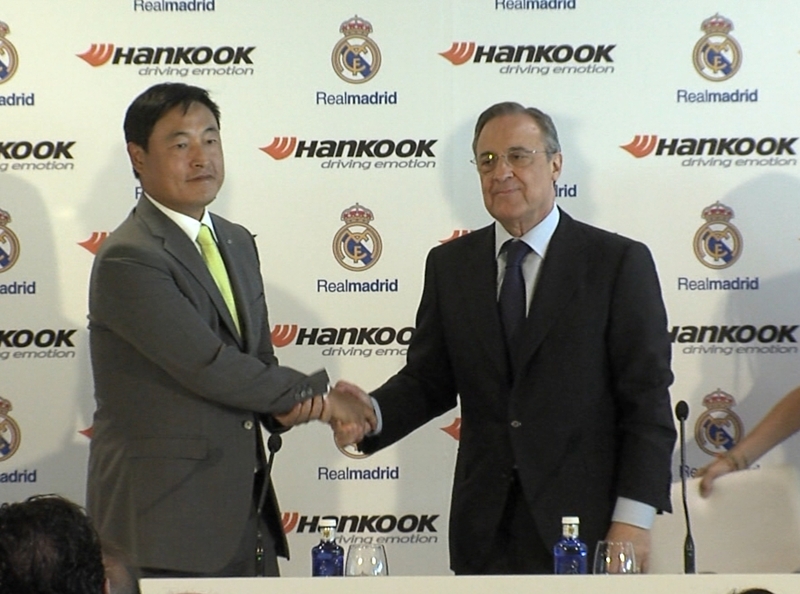 Hankook Tire President and Chief Marketing Officer Hyun Shick Cho and Real Madrid C.F. President Florentino Pérez today officially signed their global partnership contract at Santiago Bernabéu stadium. It is an honour to share this project with our new Global Partner and this alliance will allow us to dream. Today we have the privilege of presenting a strategic agreement between Real Madrid and this brand which is a leader in pneumatic production, it is an alliance between leaders to become stronger and it will allow us to work together as we dream about conquering the future. Hankook Tire is our new Global Partner and a company which represents excellence and is present in more than 180 countries. 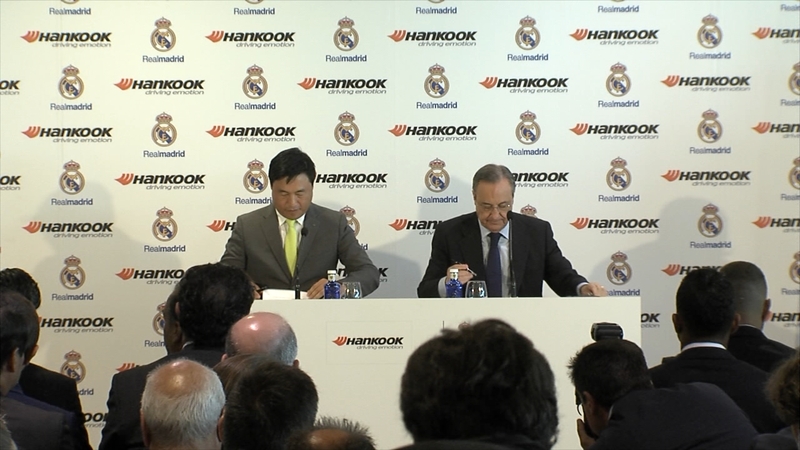 Real Madrid and Hankook share endless leadership in the search for perfection. We are talking about a perfect alliance. It is a premium global brand and from today it will be associated with Real Madrid. We have won the European Super Cup and the first two games of the season in La Liga. We have a spectacular squad and it's impossible to improve it. Zidane, all of his coaching team and the players are aware of their responsibility and they want to show what they are capable of. This is a sacred place in football and the place where millions of football fans place their dreams. This club works with the highest demands and is only thinking about growing. It's a meeting point for madridismo and we share this passionate road with the best brands.